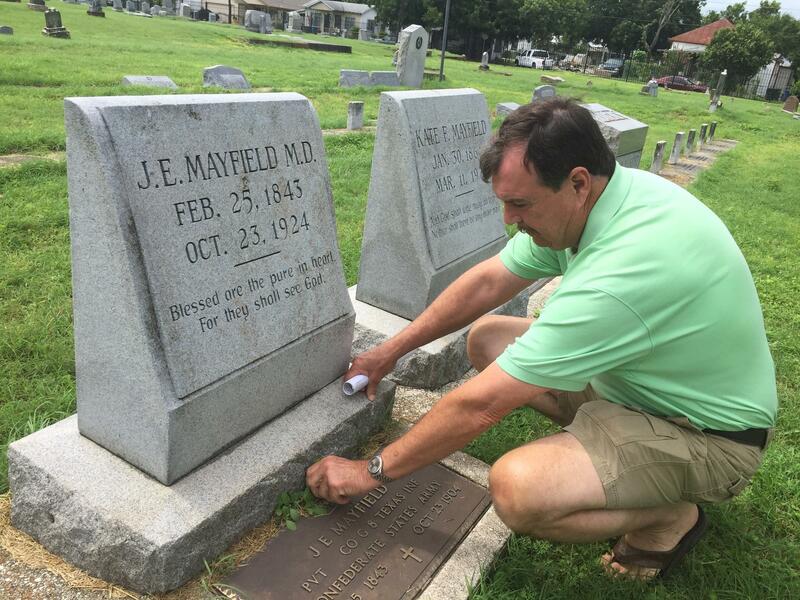 John McCammon, president of the Confederate Cemetery Association pulls weeds from a grave. A few months ago, my girlfriend and I were driving south on Interstate 95 from D.C. to Richmond, Va., where we had tickets for a comedy show. 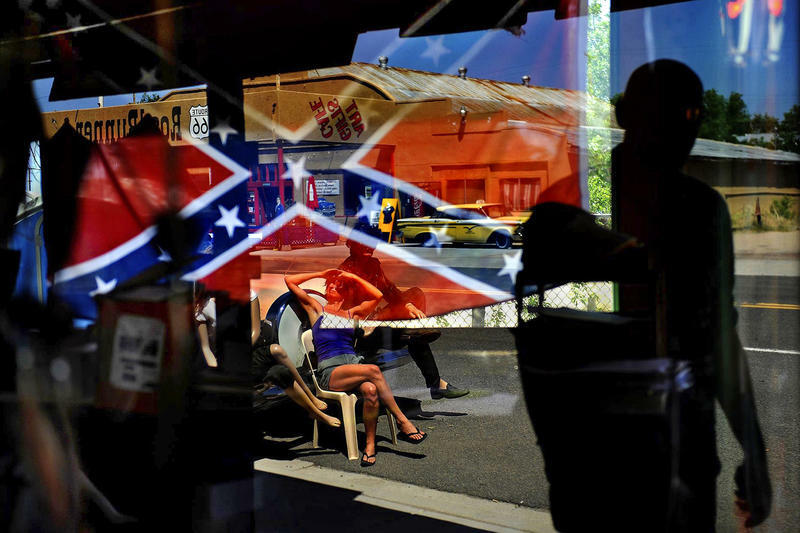 On an otherwise nondescript stretch of highway not long into the drive, we were startled by the sight of an enormous Confederate flag billowing over the trees. It's hard to convey how huge this flag was; its bigness seemed to imply a middle finger. We both reflexively broke out some blue exclamations, looking at each other like, "Is this for real?" 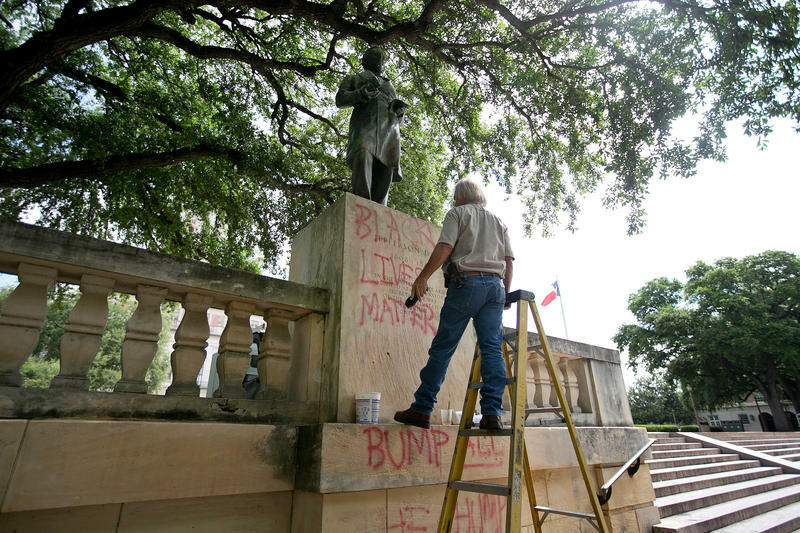 The Charleston, S.C., shootings have sparked lots of discussion about the Confederate battle flag, but it's not the only symbol of the Confederacy. 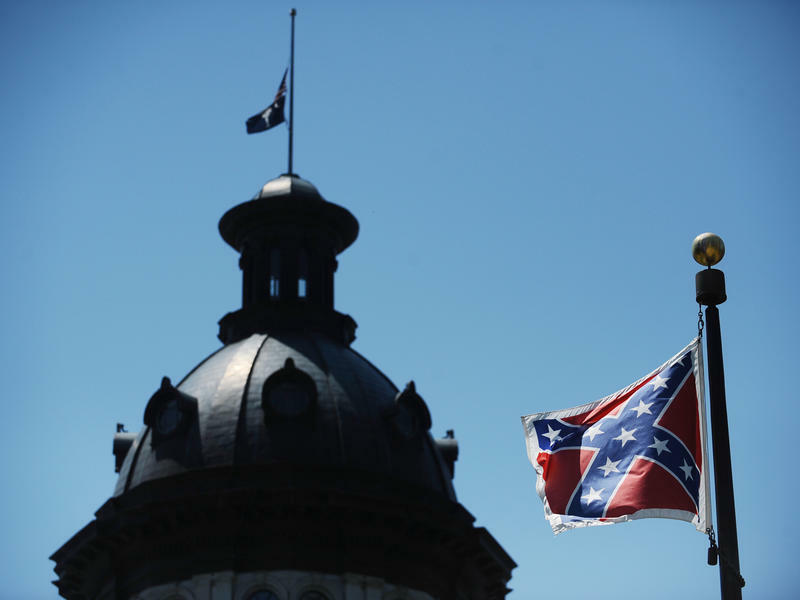 Last week's tragic shooting at Mother Emanuel African Methodist Episcopal Church in Charleston, S.C., that killed nine black parishioners gathered for a Bible study has renewed the debate over one of the most controversial Southern symbols — the Confederate flag.